Fireplace Smoke In House: What to Do? 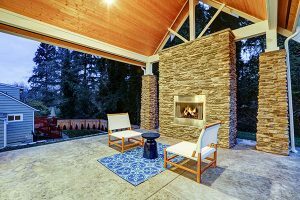 When you use your fireplace, you want to be able to enjoy every second of it. When there’s fireplace smoke in the house, that poses a major problem for the well-being of you and your family as well as your home. It’s important that you find the cause of the problem right away and get it fixed. Fireplace smoke blowing into your home can be caused by a number of things. From a damaged damper to wet firewood, the root of your back-puffing problem can usually be found easily. We’ll go over some of the most common reasons why fireplace smoke blows back into your home so you can start enjoying your fireplace worry-free again. 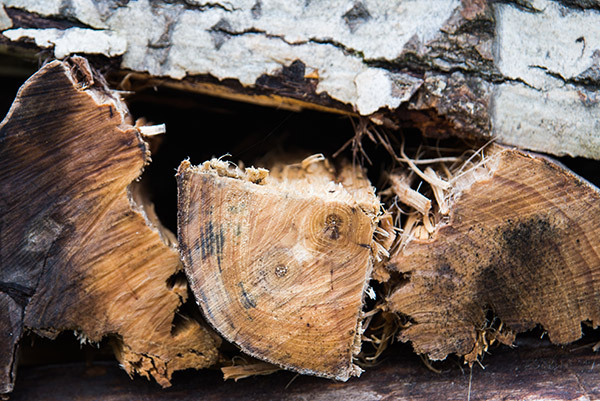 One of the most common causes of a fireplace smoking back into the home is due to poor quality firewood. This usually slips past homeowners and they think that their back puffing problem is from something relating directly to a fireplace or chimney part. Having properly seasoned firewood is crucial to a good burn otherwise you’ll run into problems like constant spending on firewood or smoke billowing back into your home. Ideal firewood is usually seasoned for around 12 months. This creates a log that has virtually no moisture, but isn’t too dry at the same time. When you burn damp firewood, you’ll hear a sizzling sound. 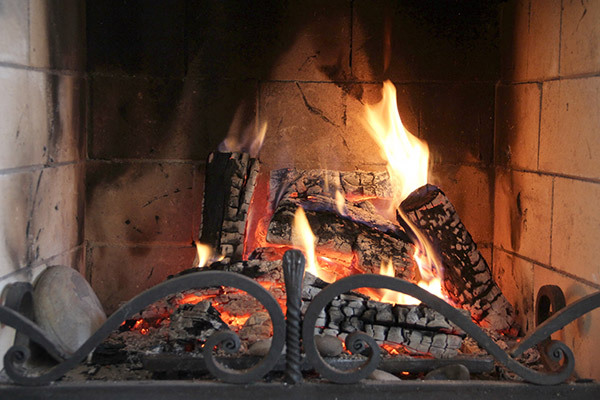 Damp firewood produces more smoke than a flue can handle and will cause back-puffing. On the other hand, firewood that’s too dry and old can also cause problems with smoke blowing back into your home. While you want your firewood to be dry, when it’s old and brittle there will be a more intense fire with more smoke. Your flue won’t be able to contain everything. If you experience fireplace smoke in the house, try stocking up on a new batch of firewood and go from there. A cold flue or cold air in the chimney is also a common cause for fireplace smoke in the home. When the air inside your flue is too cold, it forces smoke back down into your home because colder air is more dense. Many times, this is the case when you haven’t started a fire in a while and it’s been very cold during that period. 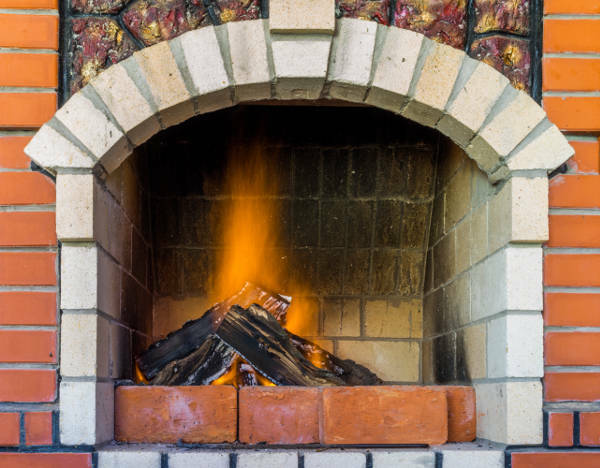 In order to combat against a cold flue, you can prime the chimney before you light a full fire by burning some newspaper or kindling before the actual logs. Doing this will warm up the flue and make way for smoke. 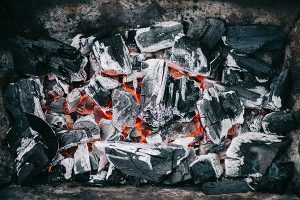 If you consistently have this problem when burning fires, you should seek out a local chimney professional to help diagnose the real problem behind your fireplace back-puffing. Your chimney’s number one reason for existing is to be able to let smoke pass through and out of your home when using your fireplace. Depending on how often you use your fireplace, you might begin to experience fireplace smoke in your home. A big contributor to this problem is a dirty chimney. A general rule of thumb is to get your chimney cleaned every 50 or so fires. When your chimney becomes too dirty, your home is at risk of chimney fires and your fireplace will be far less efficient. If you’re unsure, it’s best to get a chimney inspection to figure out exactly what you need. You can trust Early Times for all your chimney needs in the Chicagoland area. Since 1985, we’ve been helping make homes safer and cleaner. Get a free quote for your next chimney sweeping or inspection right here. Other than your chimney being dirty, there are other ways it can become blocked and allow smoke back into your home. For example, there could be a nest of birds in your chimney and you wouldn’t even know. Another common blockage in your chimney can be a hive of bees. If there are bees in your chimney, you should seek the help of a professional removal service to get rid of them effectively and safely. For birds in the chimney, it’s illegal to remove them so you’ll have to wait until they migrate back south and leave on their own. If you get your chimney inspected every year before you begin to use it, you’ll be able to avoid these problems before they get out of hand and end up costing more to repair. 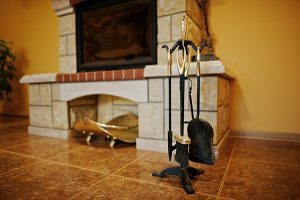 Your fireplace damper is a pivotal part of your chimney. It’s what keeps drafts from entering your home when your’re not using your fireplace and it’s the opening in which smoke enters through to get to the flue. In order to enjoy your fireplace without any safety risks, it’s imperative that you have a properly working damper. If your damper is unable to open all the way or won’t open at all, you’ll experience fireplace smoke in the house whenever you have a fire. Replacing your damper will not only get rid of smoke entering your home, but it’ll make your home more energy efficient. Fireplace smoke in the house can be a real damper on your mood. Let Early Times cheer things up by replacing your fireplace damper – get a free quote now. It’s never a good thing when smoke enters your home. It’s horrible for your health and will ruin your floors, walls and furniture. Plus, it leaves a pungent stench that’s difficult to remove. Whether it’s a faulty chimney part or your chimney just needs a good cleaning, you can count on Early Times to get rid of the smoke that’s coming into your home. 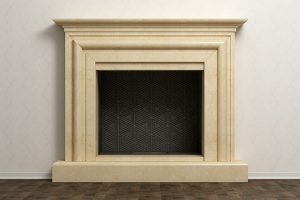 Chicagoland homeowners trust us with all their fireplace and chimney needs. We’re called Early Times Home Solutions because we have just that – the solutions. Get a free quote now for any of our chimney or fireplace services from sweeping to dampers and join the rest of the homeowners who rely on us.